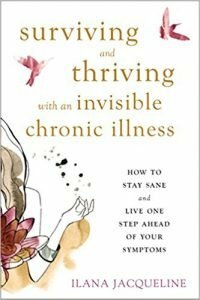 Ilana Jacqueline is author of the book Surviving and Thriving with an Invisible Chronic Illness and a professional patient advocate. 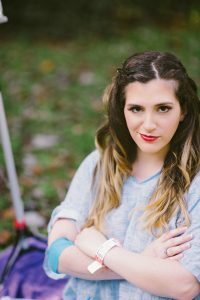 She has written for publications like Cosmopolitan and The Huffington Post on the patient experience and also works for healthcare companies and patient advocacy groups as a consultant and advisor. She has a personal connection with the patient community, as she has been a patient with complex chronic illnesses throughout her life including immune deficiency, dysautonomia, gastroparesis and an adhesion disorder. As a health advocate and regularly interviewed expert on chronic illness, Jacqueline looks to help patients advocate for themselves at their most vulnerable moments. She is currently working as Manager of Patient Advocacy for the FDNA Genomics Collaboration. She joined the board of IDA in 2018 and is interested in helping the organization in projects to help connect, educate and empower patients with invisible disabilities and illnesses. You can learn more about her work at IlanaJacqueline.com.